Prominent & Leading Manufacturer from Tiruppur, we offer womens sportswear suits, ladies knitted tracksuits, ladies sports wear and jogging sets. 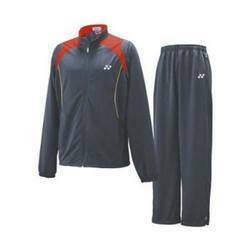 We present to our clients ladies sports wear, which includes a wide variety of sport suits, sport jackets and many more. This collection of ladies sport wear is highly comfortable and offers ease of movement. Our range of athletic wear is designed for fitness and active wear. They are skin friendly and are available on economic prices. Looking for Womens Sportswear ?